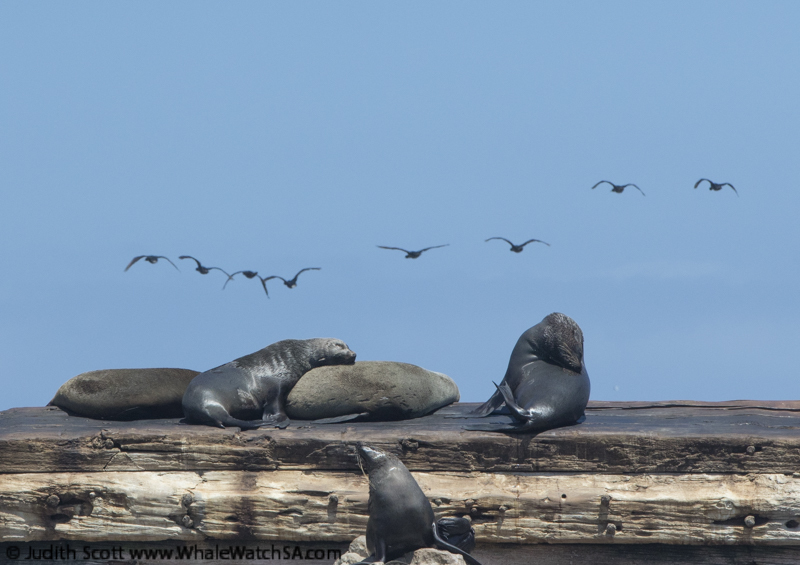 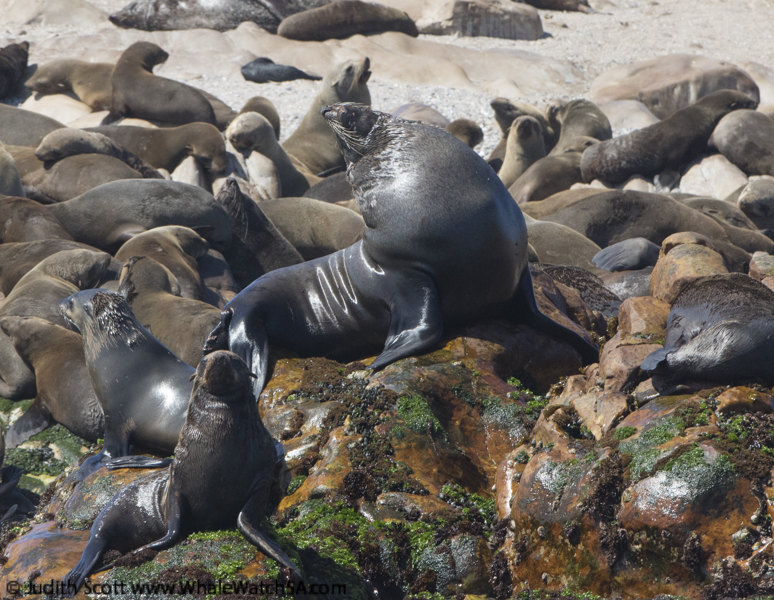 The animals were really out and about in the bay today, with us spotting the Marine Big 5 on the first two tours of the day. 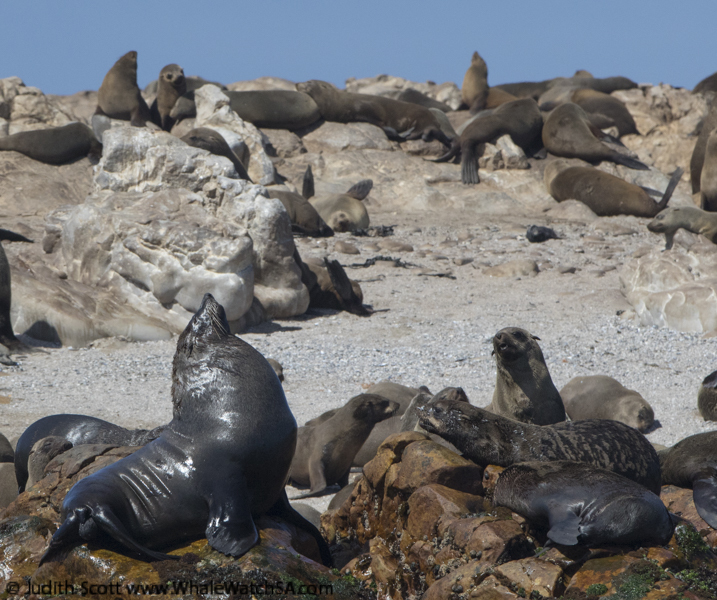 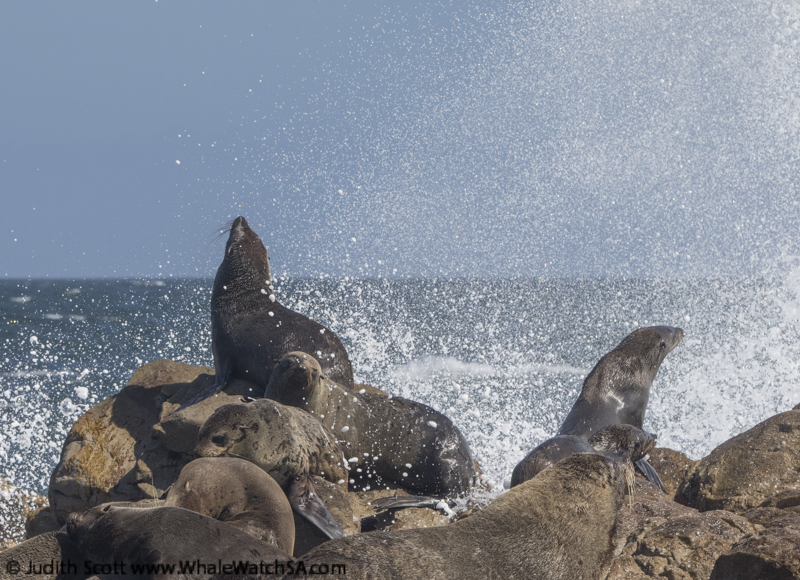 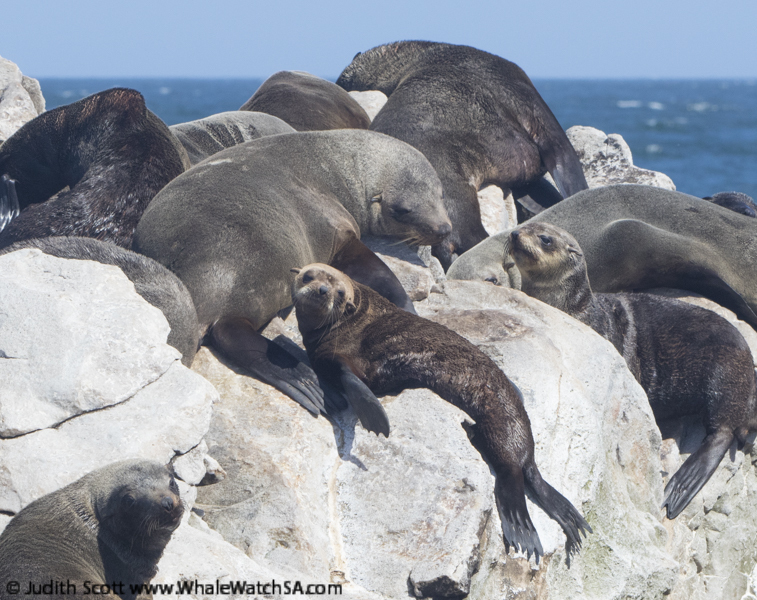 We launched our first boat from Gansbaai harbour, making our way on over to Geyser Rock to give our Cape Fur Seals some attention. 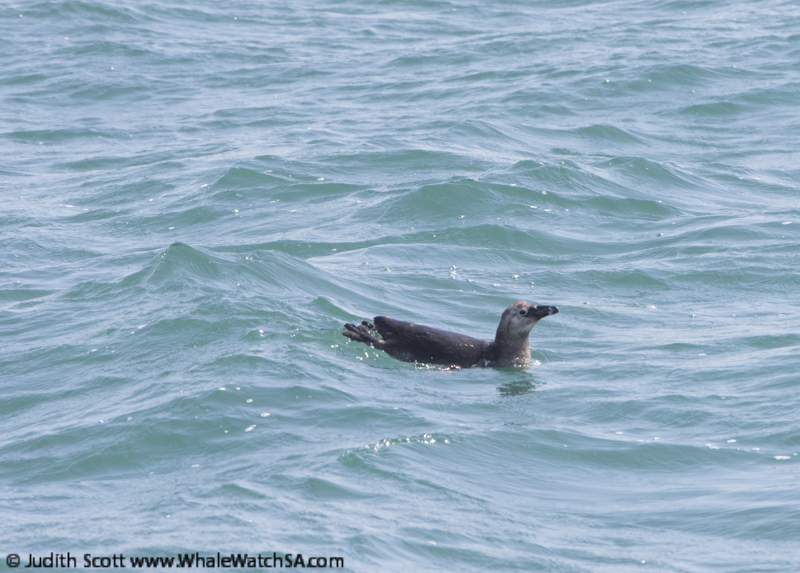 We then spotted a little African Penguin in the water, which is always a welcome sight as we sometimes struggle to find these small flightless birds. 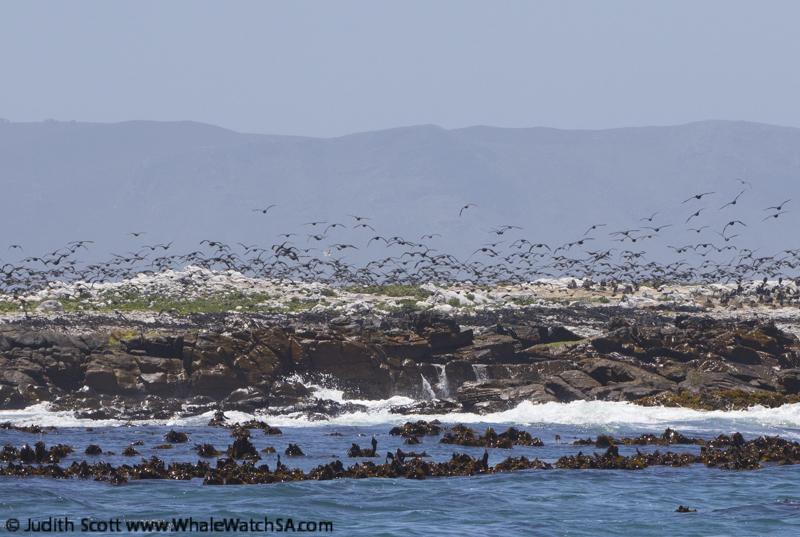 After heading around Dyer Island and into the shelter of the bay, we moved on over to the shark cage diving boats where we got a couple of views of the Bronze Whaler Sharks, who do a seasonal migration into our waters. 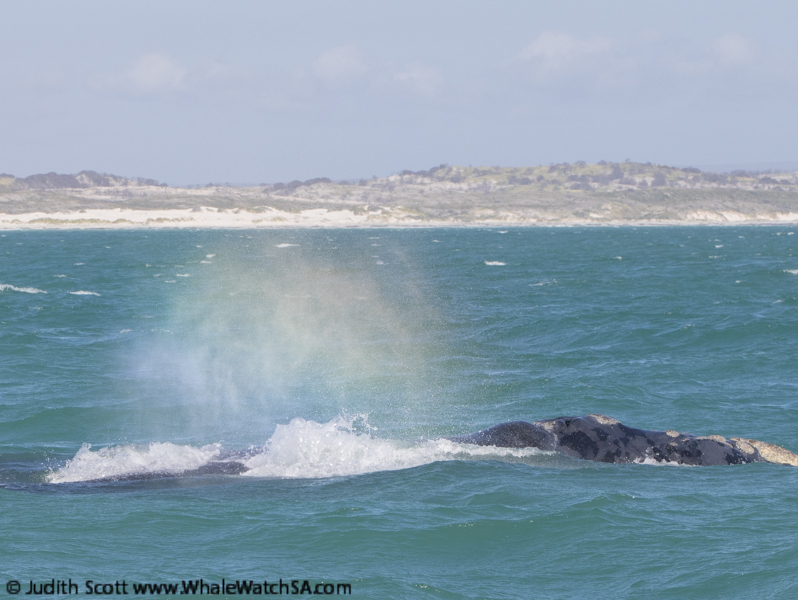 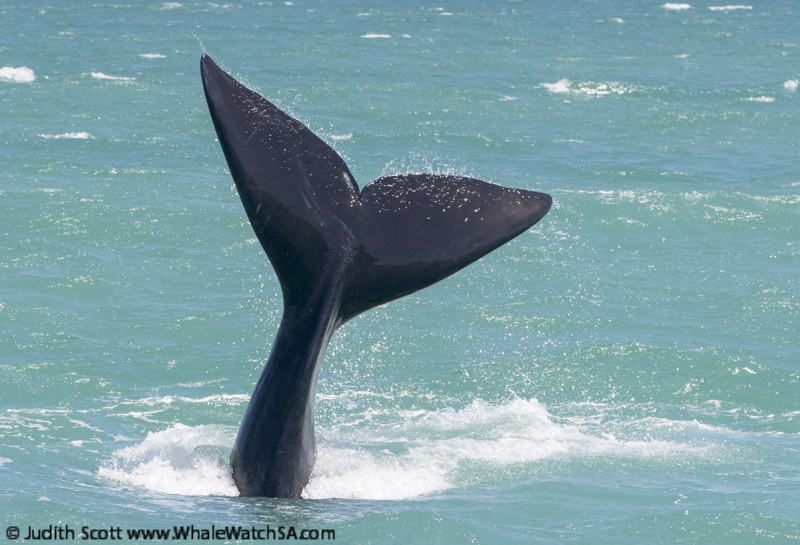 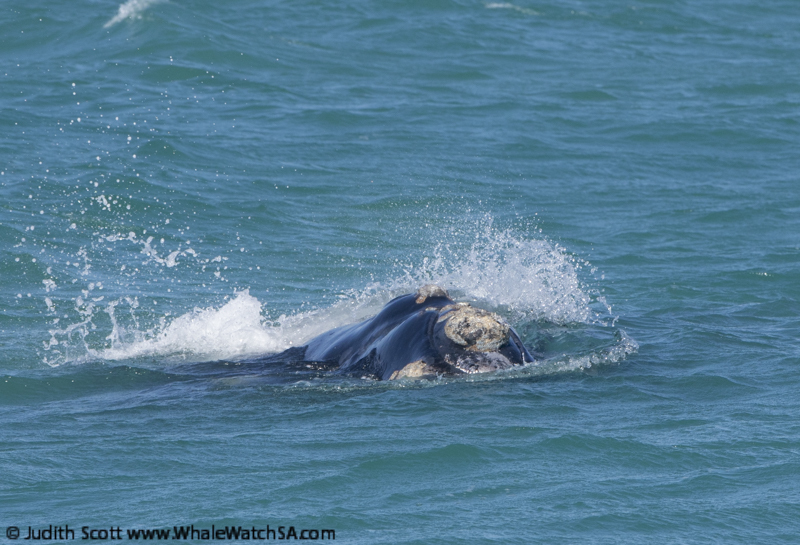 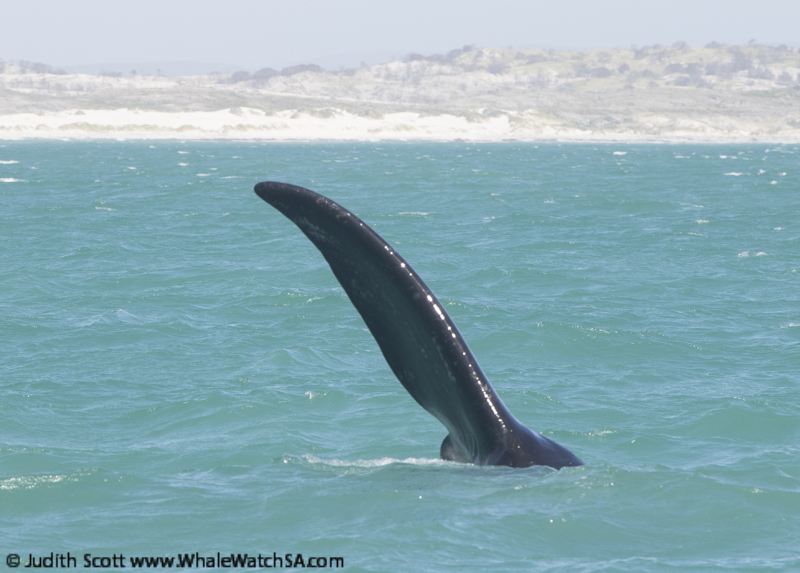 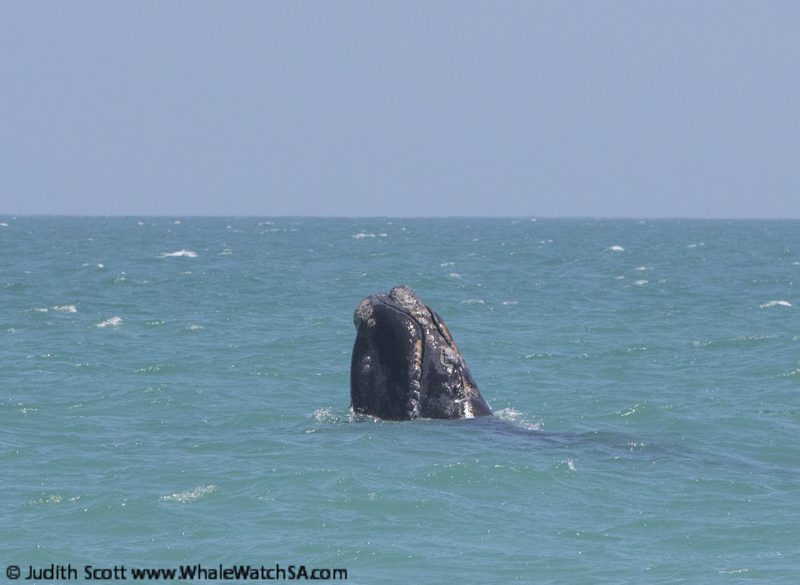 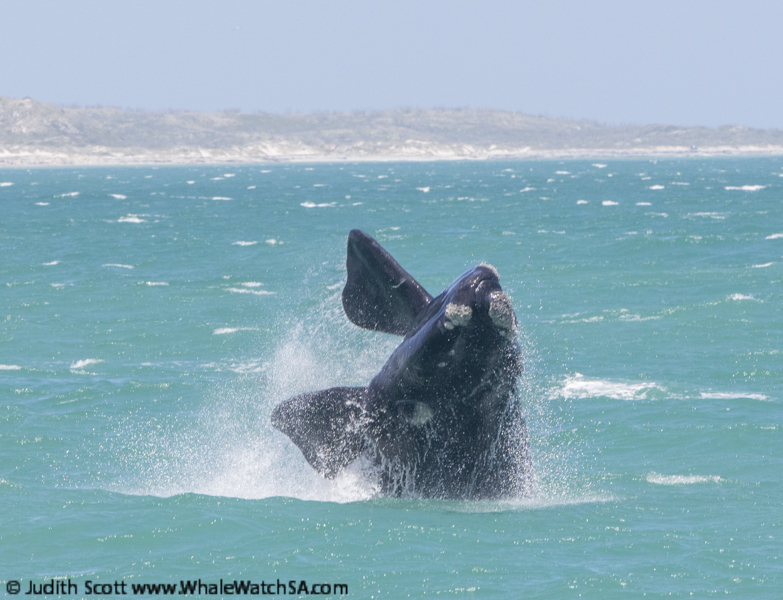 We then head on into shallow water, where we hoped to spend some time with a few pairs of Southern Right Whales. 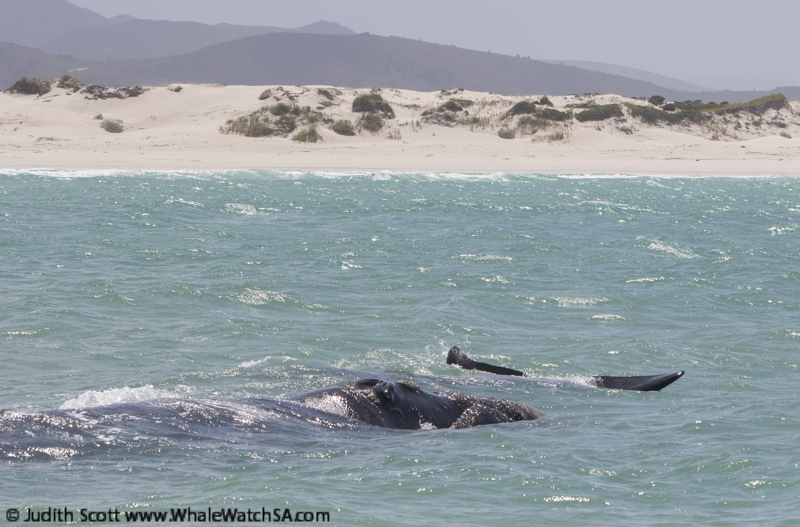 It looks like we’ve had a new movement of whales into the bay, with at least 4 or 5 pairs milling around the shoreline close to Uilenkraalsmond. 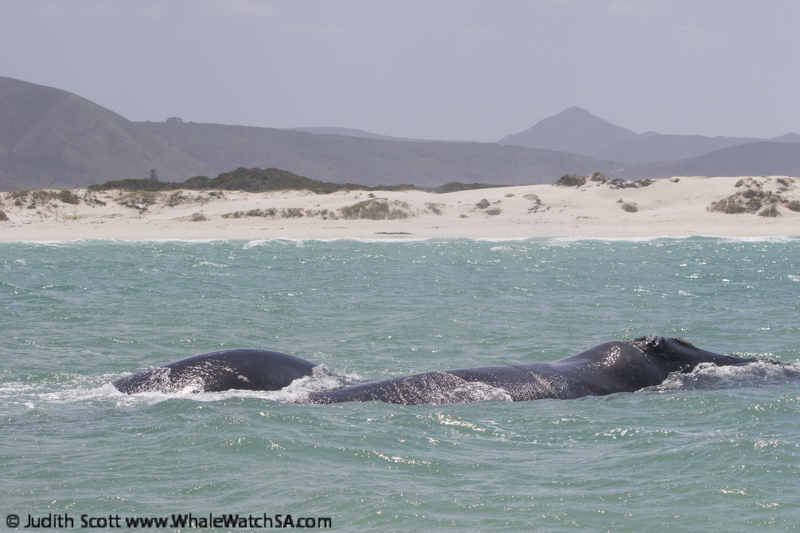 This is a stunning area to watch the whales, with white sandy beaches and turquoise waters, so we had a lot of fun watching as the moms and babies went about their day. 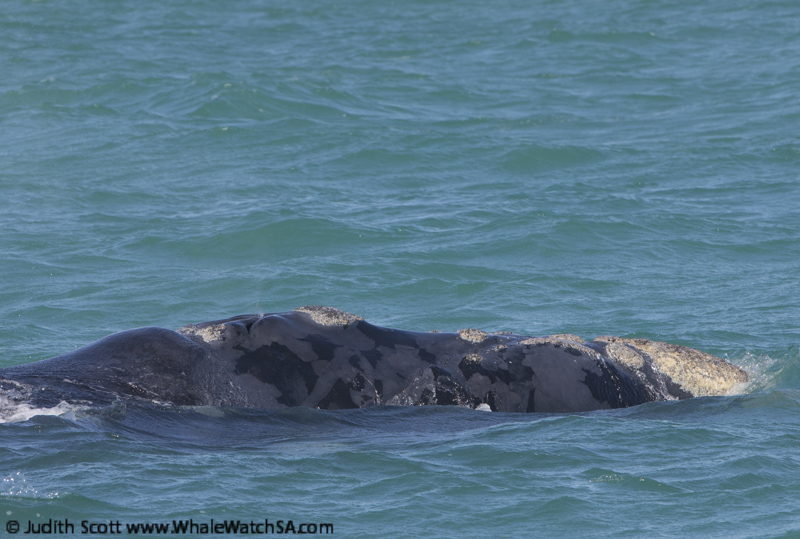 The babies are looking quite large already and one can really see some personality coming out as the little ones play around their mothers. 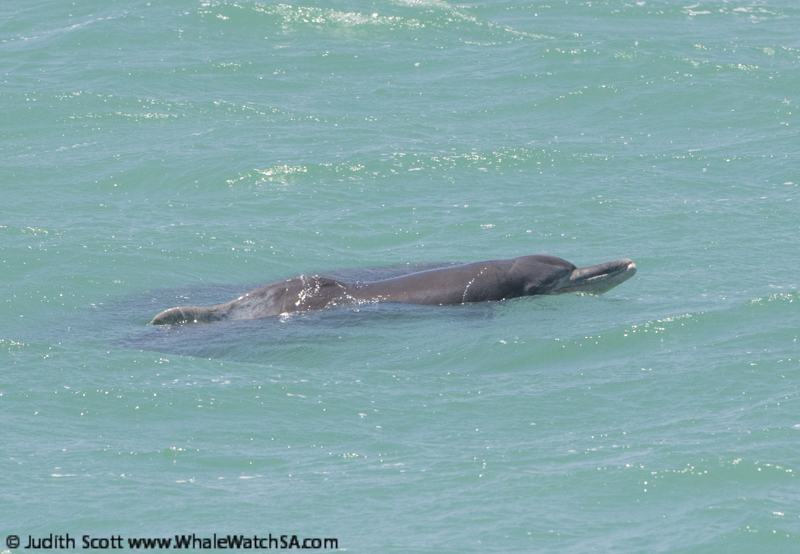 Whilst watching the whales, we got a real treat when we spotted around 8 Indian Ocean Humpback Dolphins, including claw and her little calf, when these calves are born, they’re already 1m in length, and we first spotted this baby a few months back. 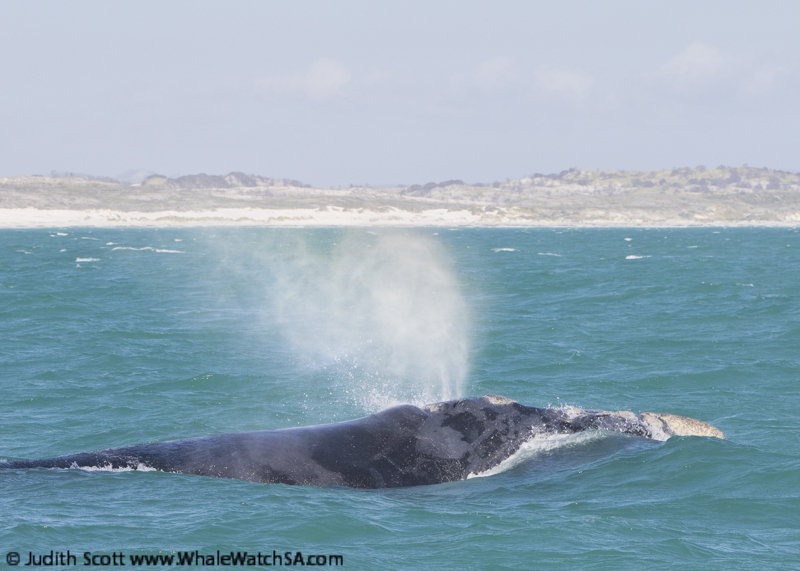 We watched the dolphins ride between the swell for a while before spending some more time with our whales. 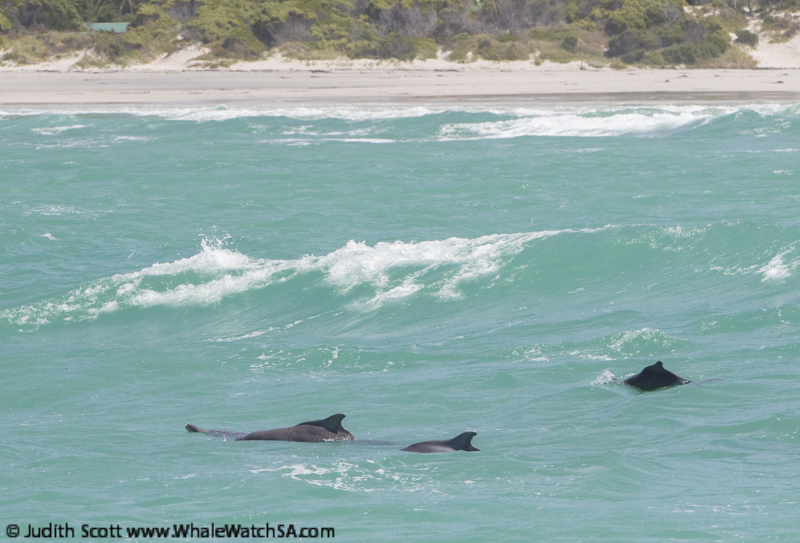 Trip 2 started off with the whales and dolphins, with us beginning the trip just off of the beach. 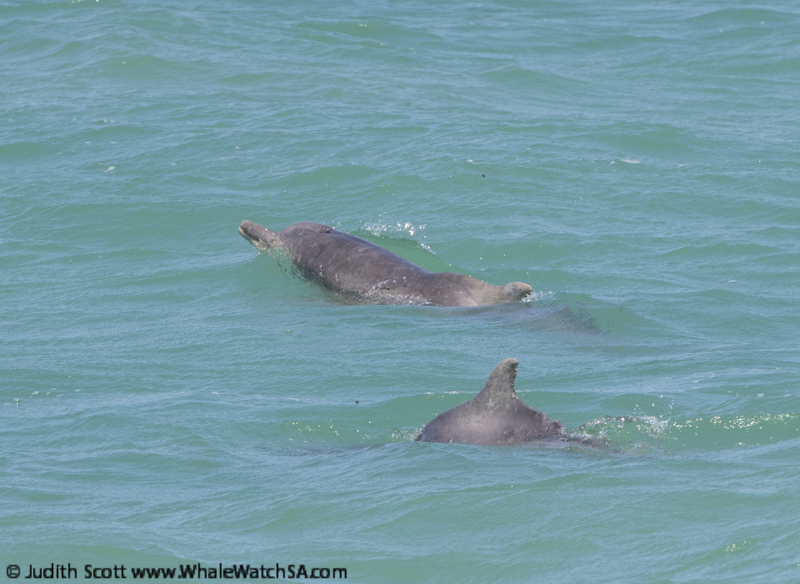 The Humpback Dolphins had separated into smaller groups and were moving sporadically, which could mean that they were hunting down some small schooling fish. 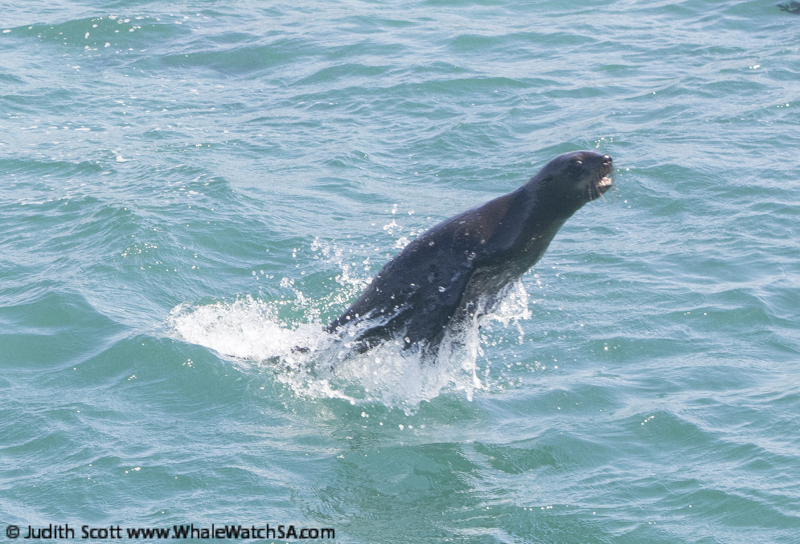 We hung out with the dolphins for a while, and also spent some time cruising along with our Southern Right Whales. 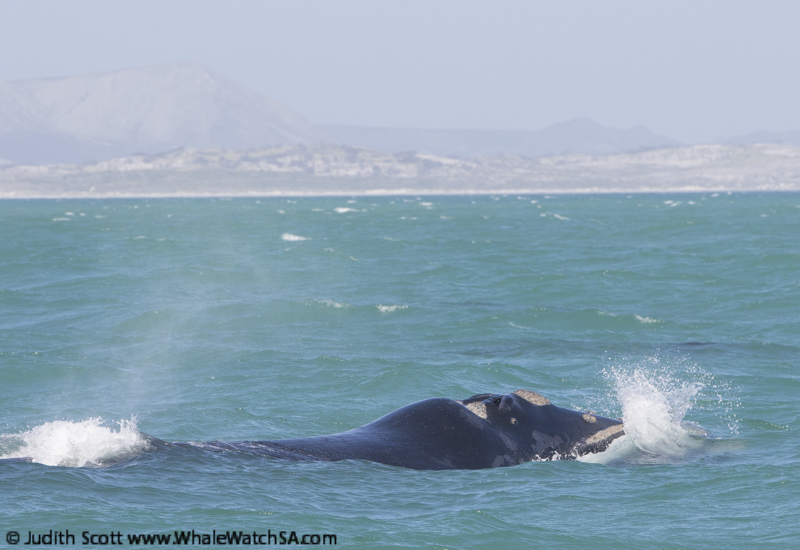 We have a couple of distinctive animals around at the moment, including one calf who has some beautiful white patches on it’s side. 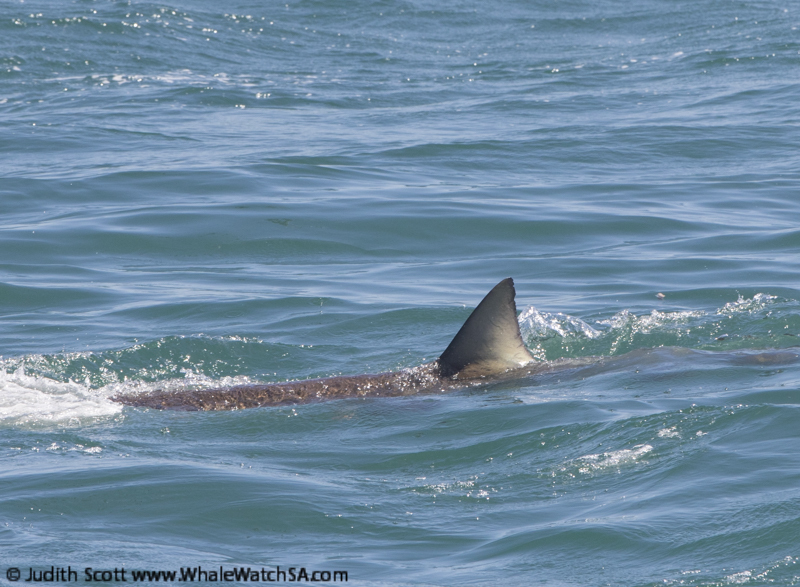 We went on towards the Shark Cage Divers next, having a look out for some Copper Sharks at our sister company’s boat, Slashfin. 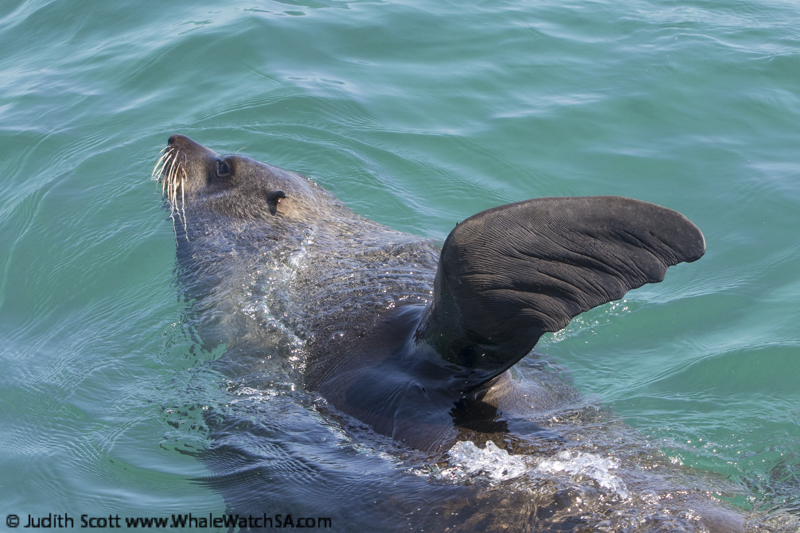 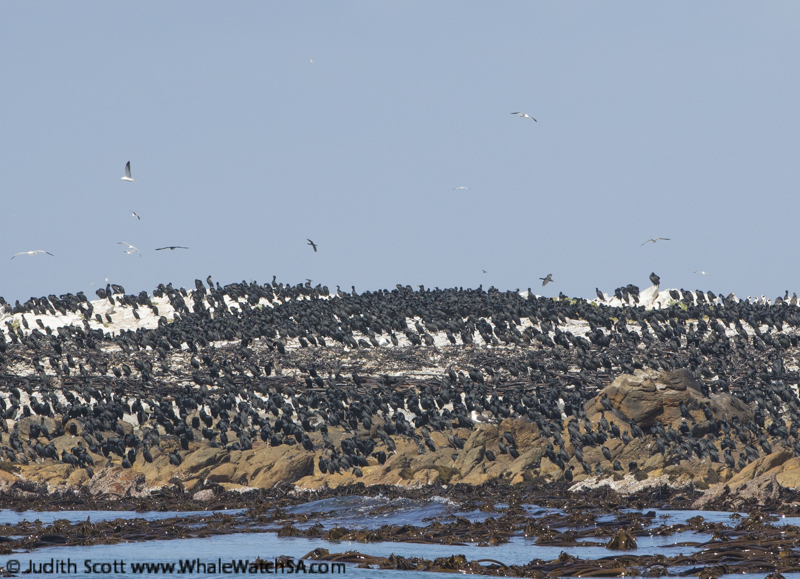 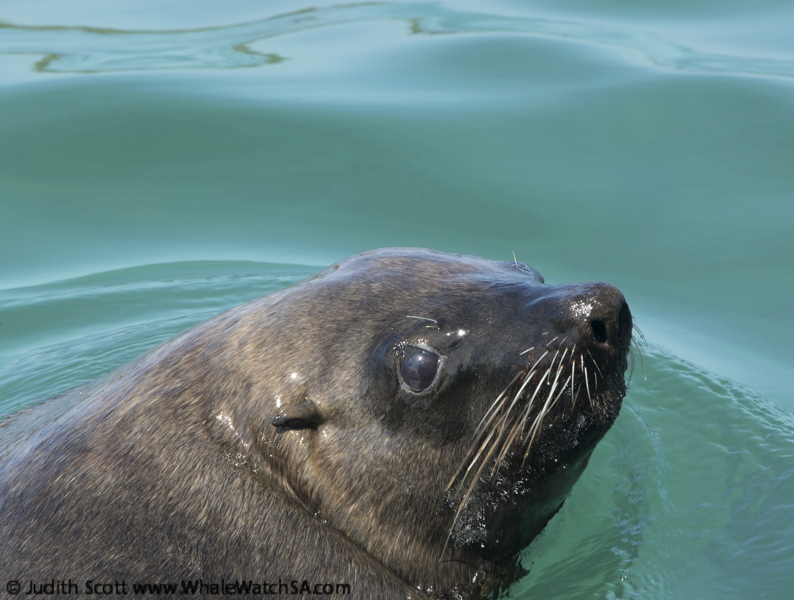 We went on to see an African Penguin as well as all of our seals in Shark Alley before making for port.